TwelveTwoTimes: It's a holiday, and we stayed home? It's a holiday, and we stayed home? Our team went on a picnic to Sun Island and we stayed home. Why would we pass up a chance to get outside while its not freezing yet? What were we thinking? Just look at these photos collected by the Shanghaiist from around the web, more images here, or read more about the crazy crowds outside. 1 Long holiday in China to see 530 mln people traveling. 2011-10-01 Xinhua English. 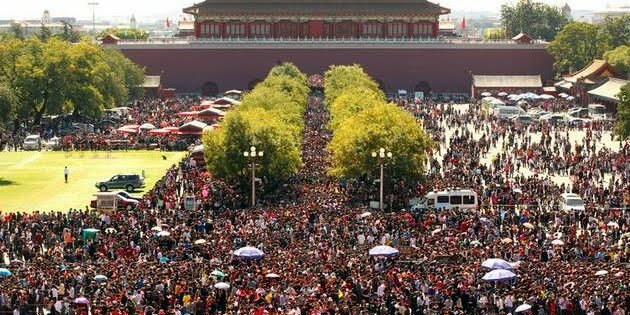 2 Weibo photos: "Sea of tourists" during Golden Week. 2011-10-04 Shanghaiist.